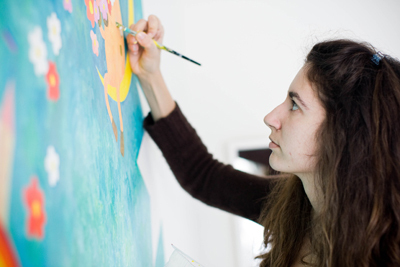 I have a BA degree in Mural Painting and Fine Arts from the National Academy of Arts, Sofia, Bulgaria. My murals can be seen at various sites across Europe - including the National Library in Sofia, the Royal United Hospital in Bath and the Bloom Hotel in Brussels. I also produce smaller scale compositions using both classical and contemporary techniques. These include portraits, still lifes, landscapes & abstract works. I design greetings cards for Two Bad Mice publishing company and work as an illustrator with books published by HarperCollins, Paragon, QED, Kar-Ben Publishing, Five Mile Press, Scholastic, Hinkler and Mouse + Magpie.